Lieben Tailor captures the distinctive aromatics of the Cape Fynbos Biome - the smallest Floral Kingdom in the world. Distilled in the Overberg with 21 unique botanicals. A rich and aromatic spicy gin with delicate citrus top notes. Distilled in the Overberg with 30 unique botanicals including dried clove flower buds, Tuscan juniper, whole black pepper and cardamom. The black gin turns a magical blue when mixed with tonic. Unfolds fresh floral aromas with hints of honey, lemon peel and spice. Layers of ripe pear and quince are balanced with subtle oak and an integrated natural acidity on the finish. Lieben Chenin Blanc is made from a single block, certified heritage bush vines planted in 1982 from the Old Vines Project. Unfolds a bouquet of fragrant wild flowers, litchi and almond. Between citrus layers of lime and grapefruit an elegant minerality fills the palate and leaves a lingering honeycomb finish laced with the subtle fragrance of new oak. Well balanced and with a rich deep colour. Lieben Chardonnay grapes are sourced from Stellenbosch and high-altitude vineyards on the McGregor Mountains. Has a lovely translucent, red plum colour. On the nose aromas of sweet red fruit and subtle floral notes unfold. The silky-smooth taste of ripe strawberries and raspberries enfolded in supple tannins with a hint of oak in the background fills the palate. A long lingering earthy aftertaste of roasted spices laced with strawberry. 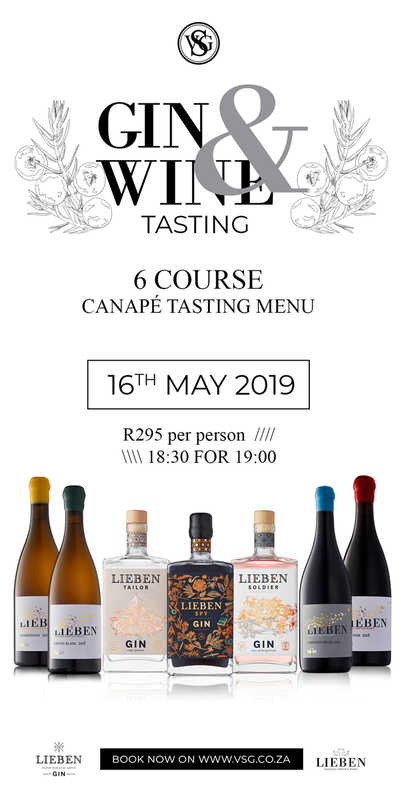 Lieben Pinot Noir grapes are sourced from cold climate Walker Bay appellations. Dark ripe berries, cedar, spicy, complex. Full bodied, dark ripe fruit, balanced oaking,ripe tannins with a long structured fruity aftertaste. Lieben Soldier is an aromatic rose-scented floral gin layered with perfumes of sweet citrusblossom and warm spicy notes. Distilled in the Overberg with 20 unique botanicals.